Many would say the gaze of a spouse, the touch of a child, prayer perhaps, or a community of friends. Most would agree, I think, that MUSIC is certainly a universal sustenance that elevates us in spirit, mood, and even health. I had the privilege of facilitating (MC’ing) “Salon at the Garden” at the Zerio Home on Sunday, November 9. It truly was a feast for my soul, and I would humbly like to share how profound this was for me. Salon in the Garden is a gathering of creative performers, an audience to appreciate them, and loving hosts who open their home, an intimate setting for the chemistry and “nourishment” to occur. The goal is community connection and proliferation of joy! For nearly 6 months, I was involved in the planning stages to help create this music event along side John and Alda Zerio. We had several brainstorming meetings to discuss possibilities. While this process was exciting, it had an element of administrative work that was not so glamorous, and far removed from what the actual product turned out to be. Sending out proposals, talking with musicians, getting replacements for musicians who needed to cancel, etc. John’s determination, selfless hours of preparation and research, and loving demeanor are contagious. I continued to help and I agreed to “MC” the event. 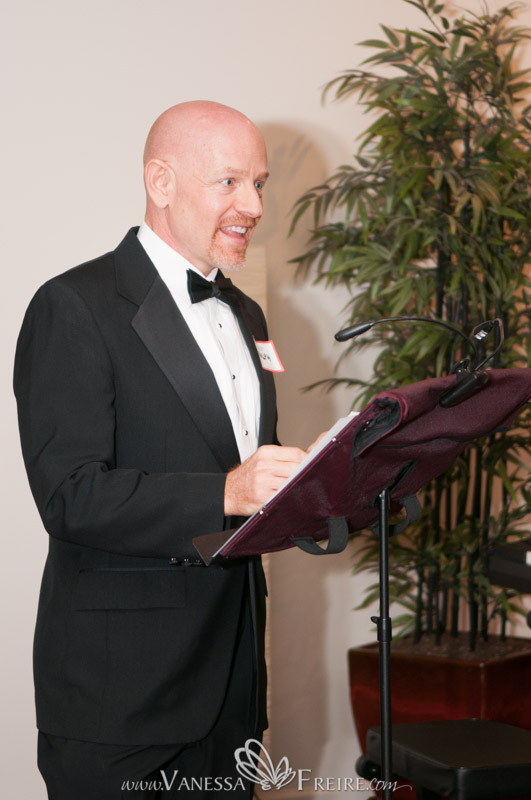 Dressed in my tux, I nervously approached my lectern to address an audience from all walks of life, including the very young and some of advanced age, all eager to experience a night of musical communion. The intimate setting and friendly people immediately put me at ease – my job was easy! A string quartet of musicians aged 13-15 started the show — so inspirational that such young people can evoke amazing emotions with their professional style and connection with themselves and the audience. In contrast, the 81-year-old jazz pianist, accompanied with vocals and a bass, blessed us with his wit and skill at the piano – His refined style and the vocalists amazing voice put the audience in a trance of amazement. Then came intermission. My soul was getting pretty “full” already from just the first half, but the fun continued. The goal of bringing joy to a group of people was certainly accomplished thus far. People were engaged in asking questions of the musicians, and they even laughed at my corny jokes! The second half brought a flute player accompanied by classic guitar with a backdrop of digital animation that was responsive to the volume, beat, and frequency of the music being played. Images of native american icons, Japanese symbols, and musical instruments captured the attention of all in the room. Next, three gentlemen who play with the Phoenix Symphony carried the show with a trio, some humor, and an education about brass instruments to stimulate even the intellect of the listeners. Finally, a Flamenco Dancer, with accompanying guitar, commanded the attention of our eyes, ears, and hearts as we clapped and cheered Ole’ in appreciation of the beautiful costume and perpetually tapping shoes that mesmerized us! I was humbled by the level of professionalism and quality of the performance. The music was so moving and inspirational that I often found myself with chills and goosebumps. I am not one to use the word “awesome” as flippantly as our culture seems to use that word these days, so please know I am sincere about my “awe” when I tell you this was AWESOME! But wait, there’s more: The show was over and the audience was not done. In the true spirit of Salon, attendees were mingling with the musicians and our gracious hosts in dialogue of appreciation and wonder. THAT, my dear friends, feeds my soul. This entry was posted in Performances and tagged Scottsdale, Zen Garden, Dance, classical music, Music Salon, flamenco, youth talent by John Zerio. Bookmark the permalink.